Sweet tea was a beverage staple growing up in Georgia; but, after making more than a hundred pitchers of it working in restaurants, I can’t bring myself to drink it anymore. When you look at a glass/pitcher of sweet tea, imagine half of the container filled with granulated sugar. That’s a lot of sugar, right? It’s dissolved, so you can’t actually see it, but it’s in there. Tea itself isn’t bad for you; it’s the amount of sugar in most tea drinks that’s bad. Even the bottled, green teas that claim to boost your metabolism on the front of the label give a different message when you turn them around and check out the sugar content. It’s true that green tea can boost your metabolism, but you’re not maximizing the benefits by drinking the bottled stuff. Green tea helps your body burn fat with catechins and caffeine, but you would need to drink almost twenty bottles to get the same amount you can get from one home-brewed cup. Your body does not need, 1) sugar from twenty bottled drinks or, 2) that many trips to the bathroom in a day. I brew green tea at home and keep it in the fridge. It’s cheaper, healthier, and I think it tastes better, too. Give it a try. You can say “yes” to this beverage as a staple. Clean the outside of your lemon and orange. Slice each in half, squeeze juice into the pitcher and then drop in the rest of the fruit. Add agave and stir. 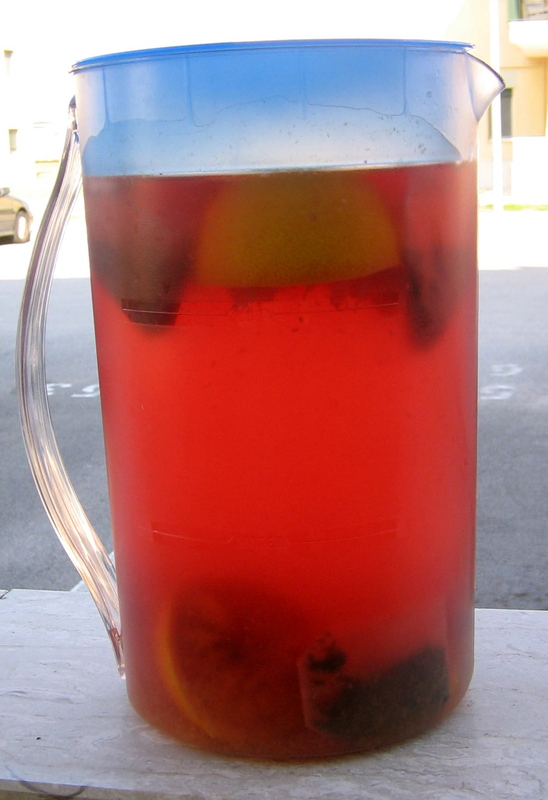 Put your tea bags in the pitcher and fill with hot water. Cover pitcher and let steep for 10 minutes. Set in fridge and let cool without adding ice. Enjoy once cooled!